Säätötuli was one of the pioneers in bioheat-container manufacturing with the first unit manufactured in 2003. 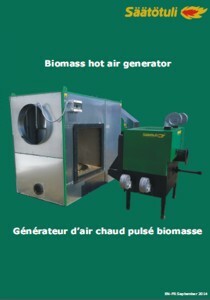 The Säätötuli biomass hot air container is a hot air generator which is ready to use in a custom-made container. On delivery, the main fan, the ash screws and the chimney are put in place and the container is connected to the electrical network. The hot air container is built with fire-resistant sandwich-panel cladding. The steel frame is built outside of the fire-proof cladding in order to comply with the most restrictive standards of each country. The steel frame is made to be able to support large amounts of snow on the roof of the container. 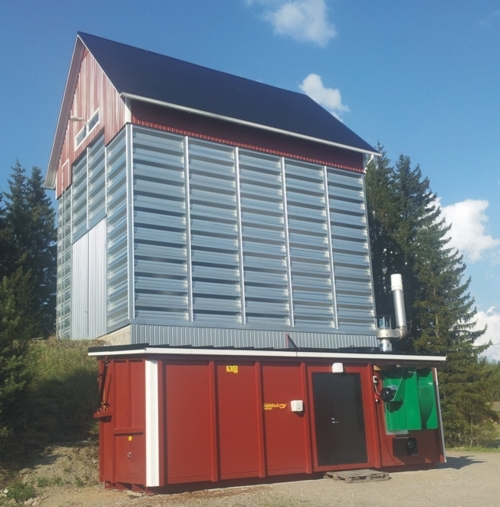 The container is divided in two parts: a fuel silo of approximatively 15m3 with a hydraulically operated roof, and the boiler room with the hot air generator, biomass feeders, automation controls and an aerosol extinguisher for optimal security. The container can be equipped with a GSM modem to relay alerts by text message to cellular phones.